Historisches Seminar der Universität Heidelberg Historisches Seminar der Universität Heidelberg Historisches Seminar der Universität Heidelberg Historisches. 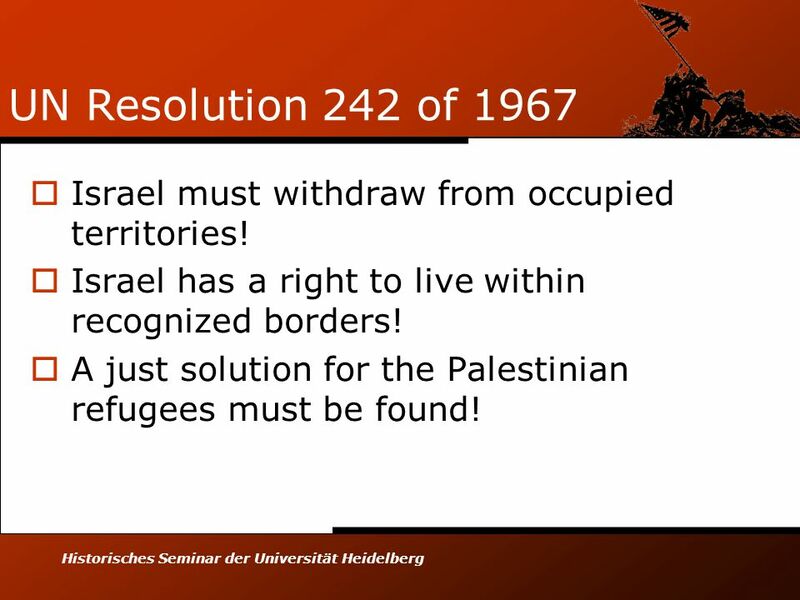 11 Historisches Seminar der Universität Heidelberg UN Resolution 242 of 1967  Israel must withdraw from occupied territories! 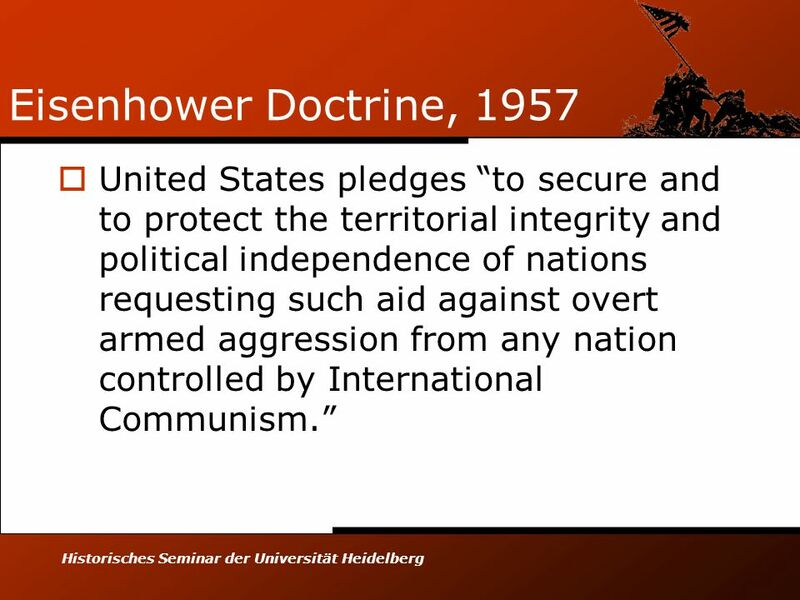  Israel has a right to live within recognized borders!  A just solution for the Palestinian refugees must be found! 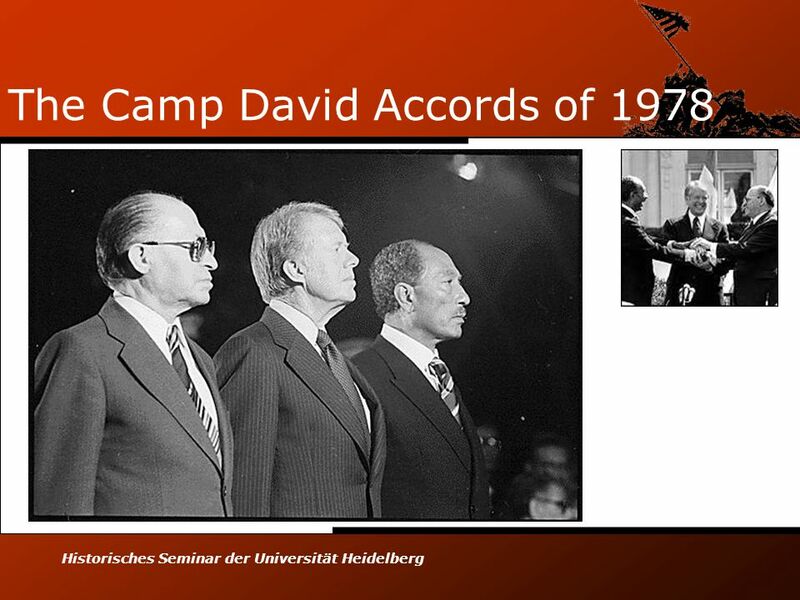 16 Historisches Seminar der Universität Heidelberg The Camp David Accords of 1978  Final status of the West Bank and Gaza will be determined within five years based on “full autonomy” and “self- governing authority.”  Israel and Egypt will sign a peace treaty. 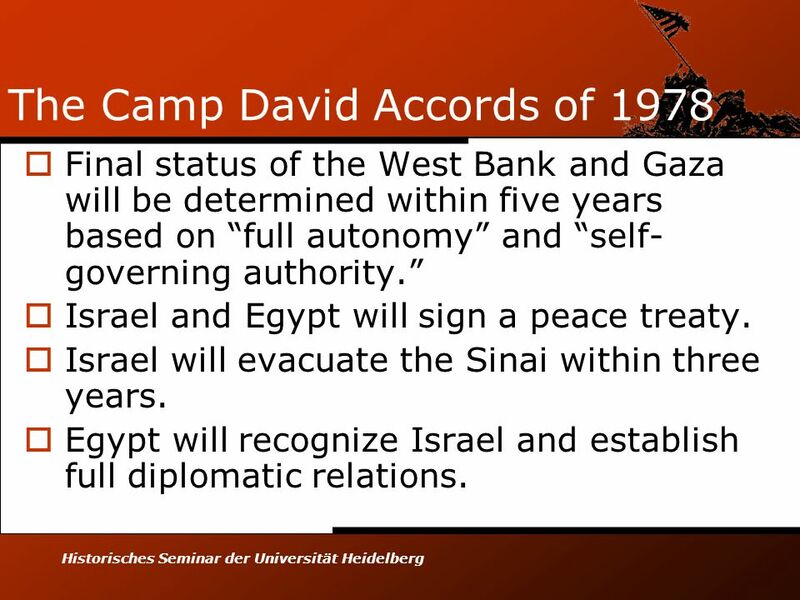  Israel will evacuate the Sinai within three years. 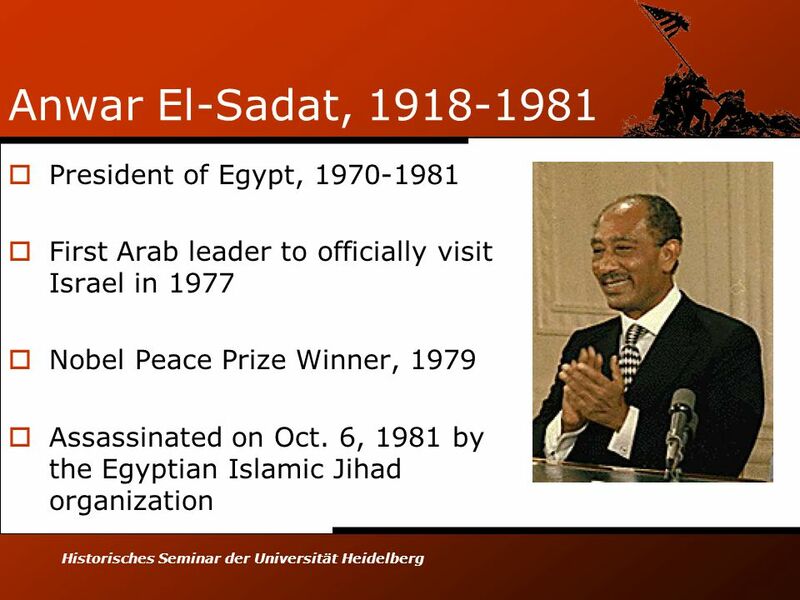  Egypt will recognize Israel and establish full diplomatic relations. 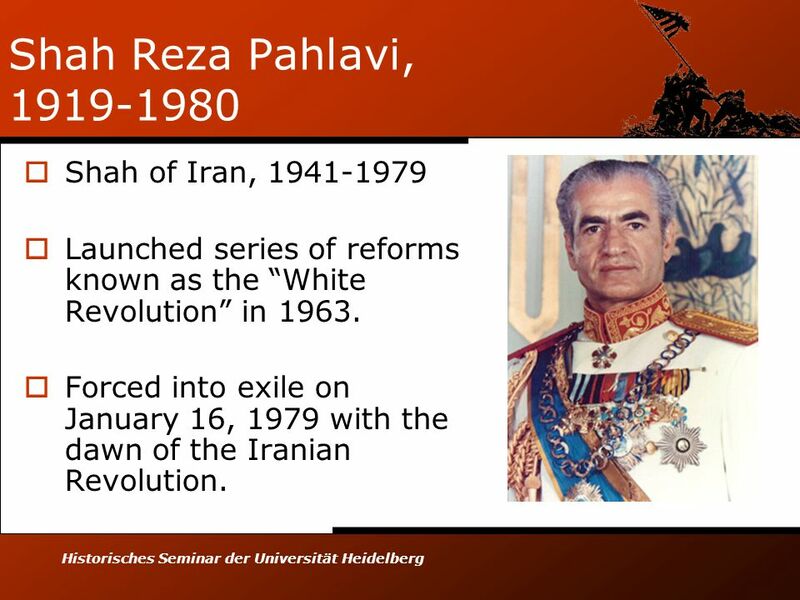 17 Historisches Seminar der Universität Heidelberg Shah Reza Pahlavi, 1919-1980  Shah of Iran, 1941-1979  Launched series of reforms known as the “White Revolution” in 1963. 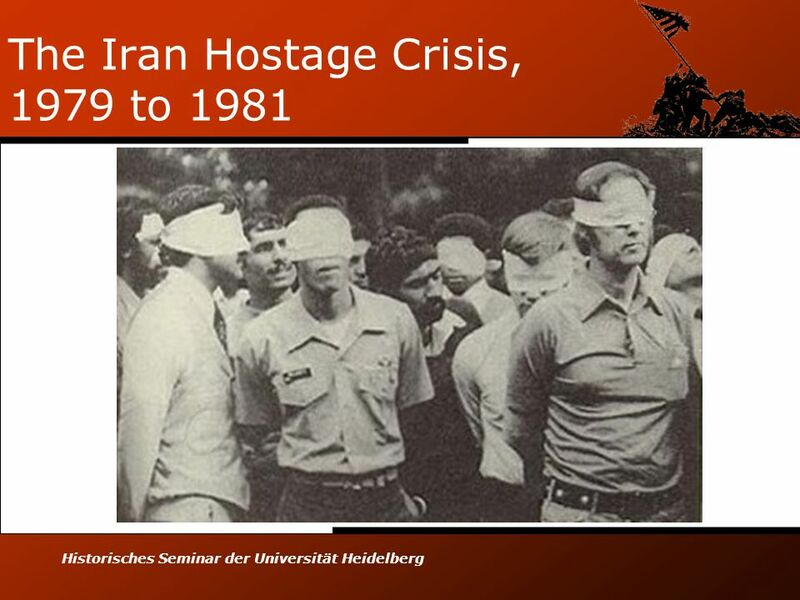  Forced into exile on January 16, 1979 with the dawn of the Iranian Revolution. 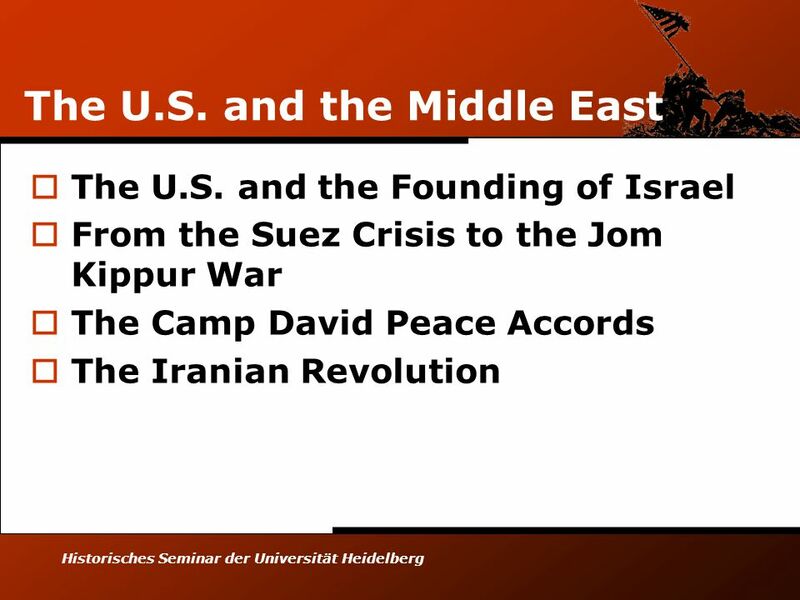 18 Historisches Seminar der Universität Heidelberg Ayatollah Ruhollah Khomeini, 1902-1989  Iranian Shi'a Muslim cleric, and the political and spiritual leader of the 1979 Islamic Revolution.  “Supreme Leader of Iran,” i.e. 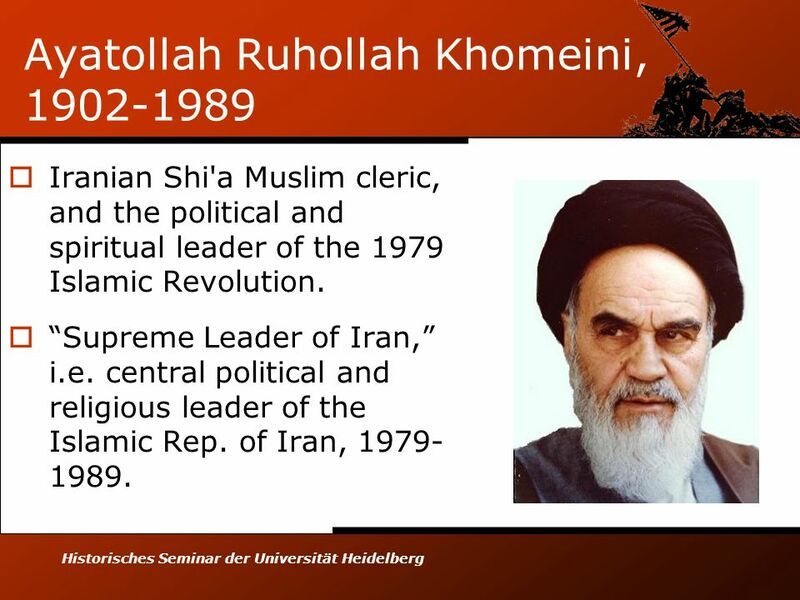 central political and religious leader of the Islamic Rep. of Iran, 1979- 1989. 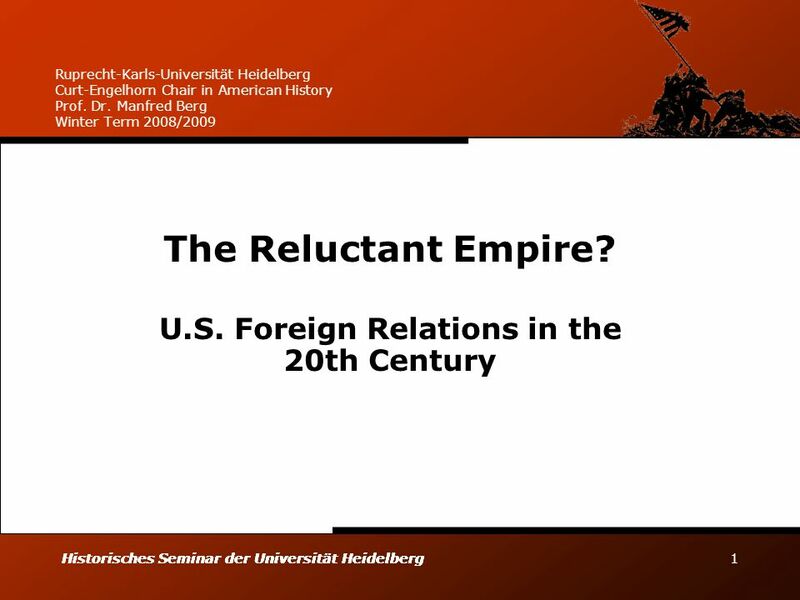 Download ppt "Historisches Seminar der Universität Heidelberg Historisches Seminar der Universität Heidelberg Historisches Seminar der Universität Heidelberg Historisches." The Modern Middle East Chapter 16 Section 4. 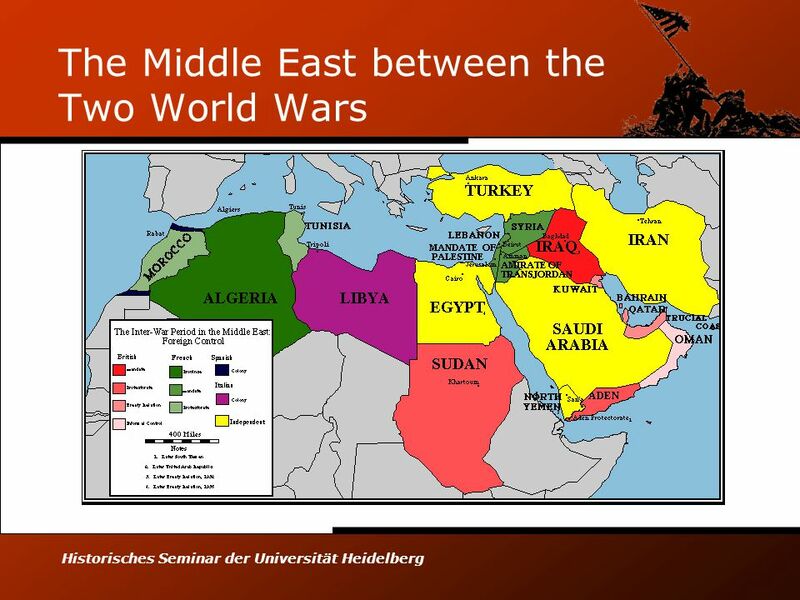 Conflict in the Middle East Key Middle Eastern States. 1) Congress Party-India’s national political party 2) Muslim League-An organization founded in India to protect Muslim interest 3) Partition–The separation. 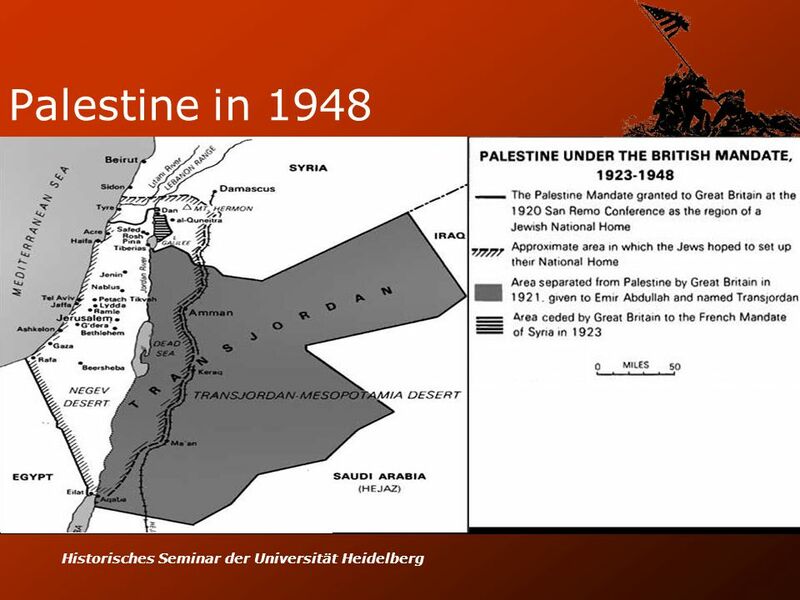 The Mandate System 1920 Balfour Declaration 1917? 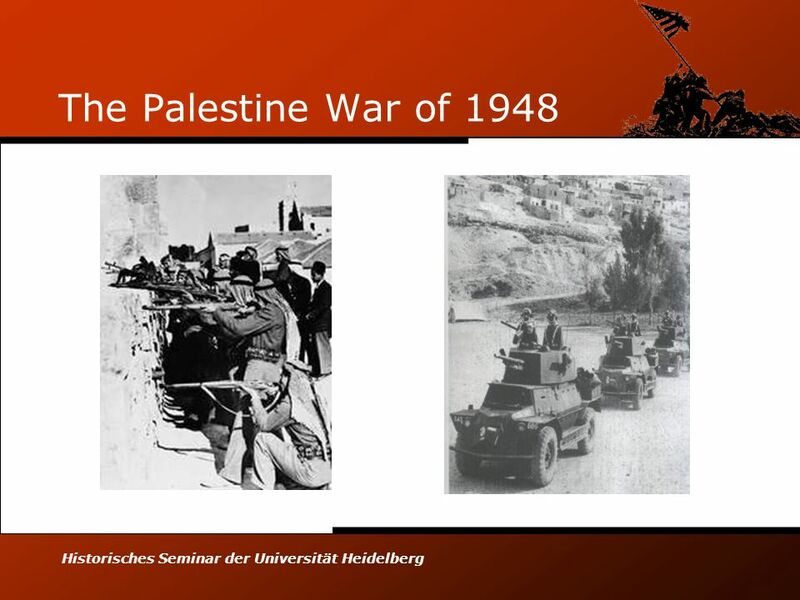 POST World War I.
ARAB-ISRAELI CONFLICT. 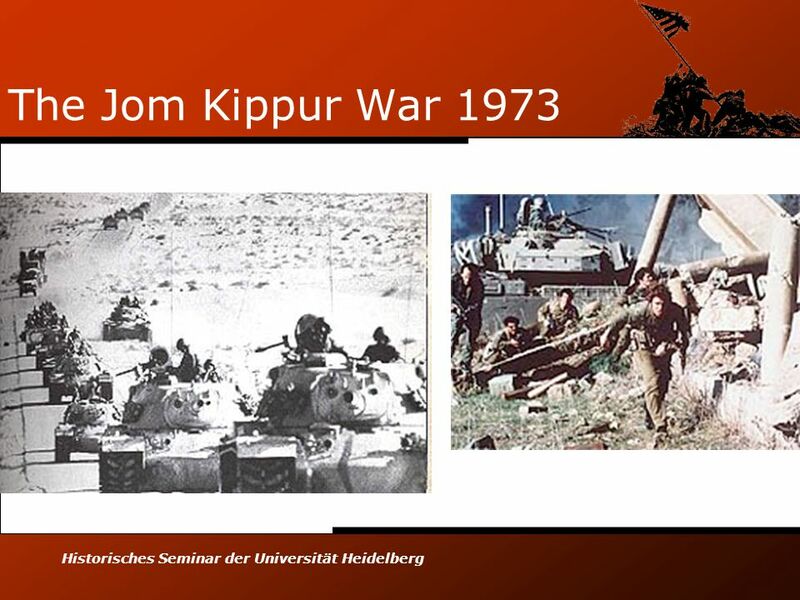 ISRAEL With the end of WWII, the Arab-Israeli conflict became the major political and military problem in the Middle East. After. 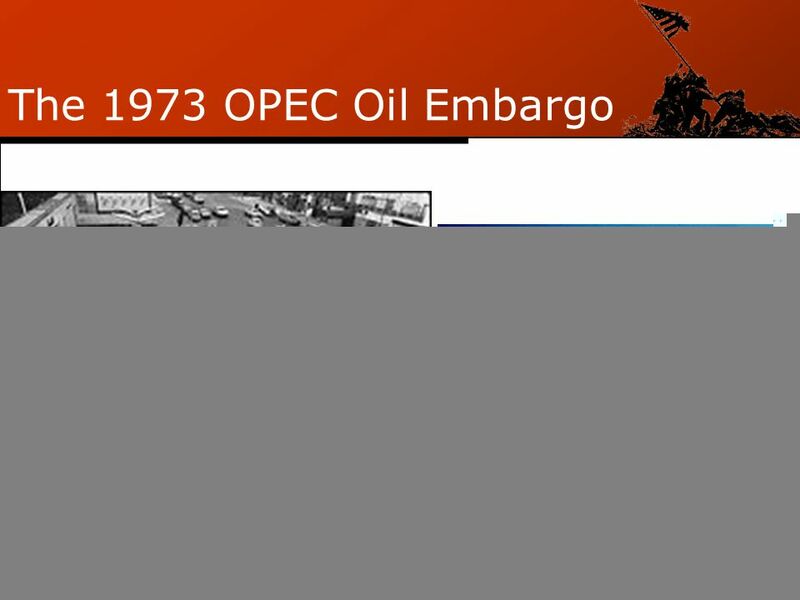 A BRIEF OVERVIEW OF ISSUES IN THE MIDDLE EAST Focus On: Iran. 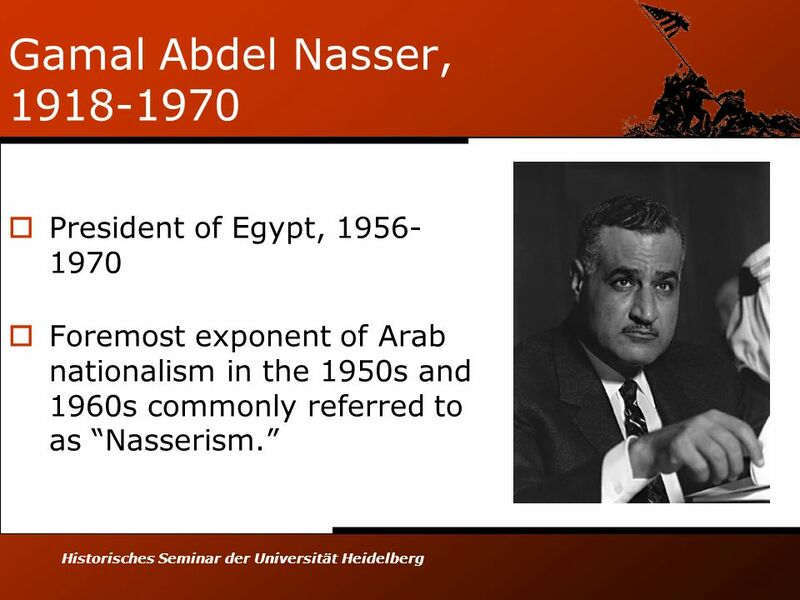 Emergent Nationalism in the Middle East The Struggle for Stability. 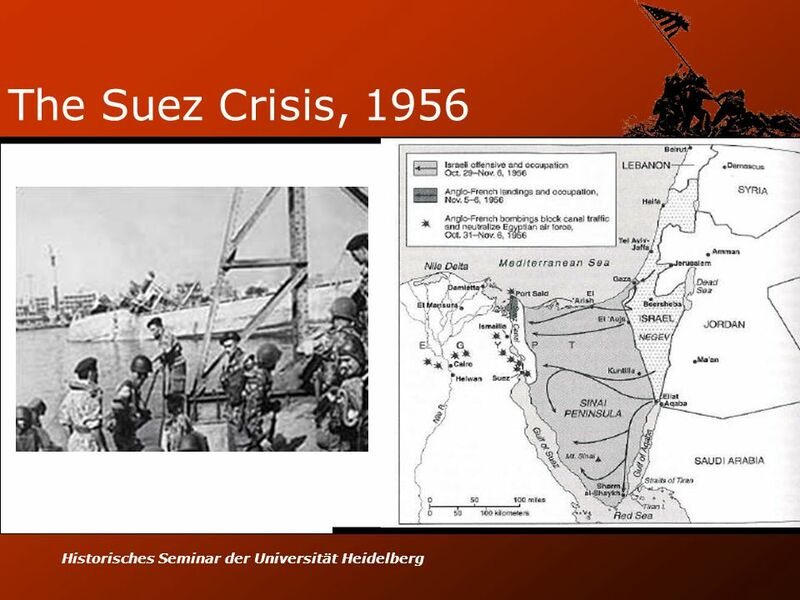 U.S. INVOLVEMENT IN THE MIDDLE EAST A Timeline ©2012, TESCCC U.S. History Unit 12, Lesson 1. 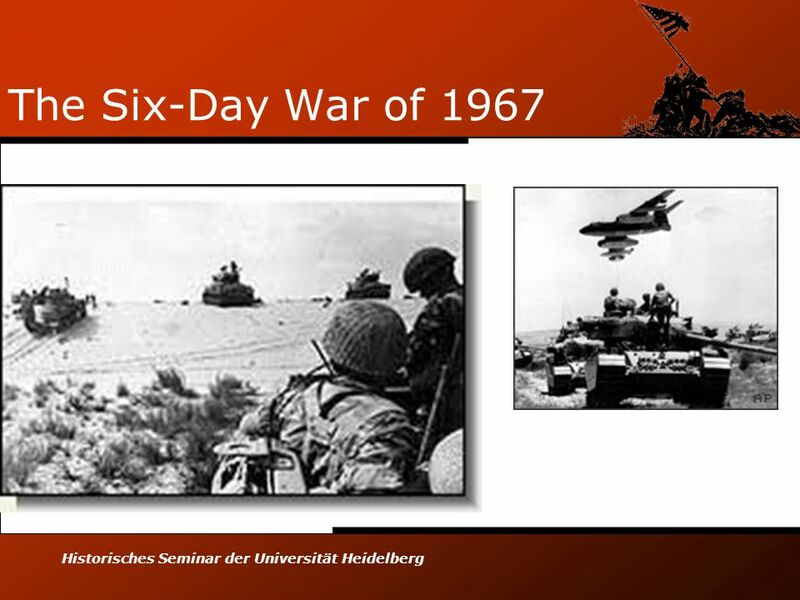 Developments in the Arab/Palestinian-Israeli Conflict 1960s-1980s. 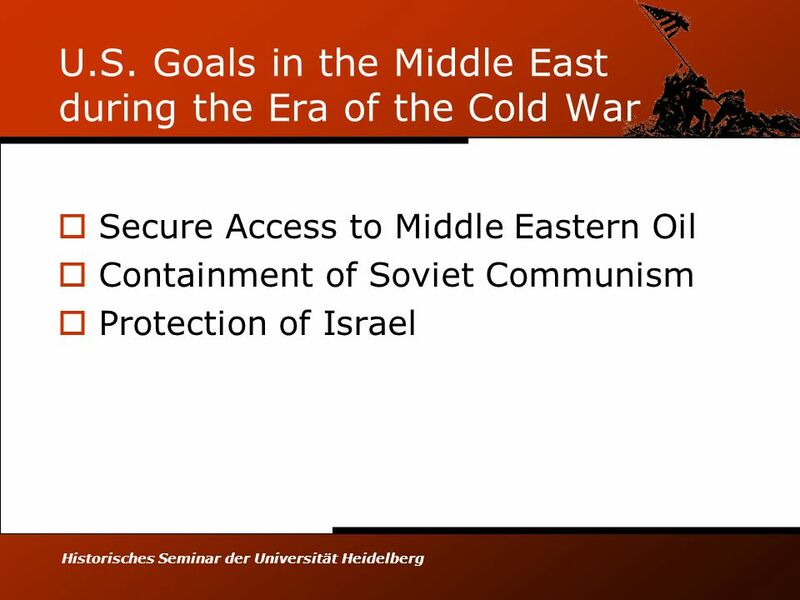 Middle East and the US Last half of the twentieth century. Middle East Fundamentalism.  1.What are the roots of modern Islamic Fundamentalism? 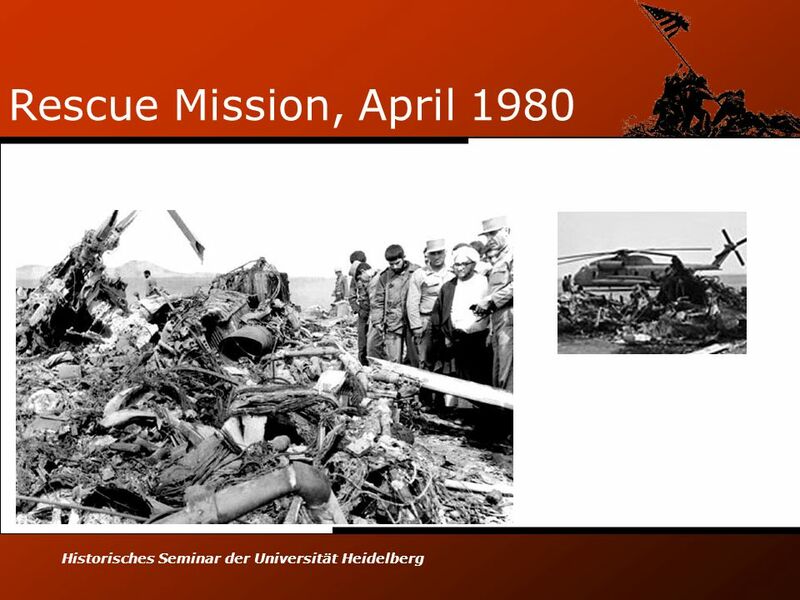 2.What was the United States’ response to global terrorism? 3.What. TEKS 8C: Calculate percent composition and empirical and molecular formulas. The Modern Middle East.